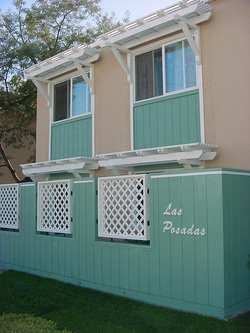 Las Posadas provides low-income family housing in the heart of downtown Livermore. The project involved the complete rehabilitation and remodeling of an existing run-down 9-unit apartment building. The conversion included altering the appearance of the buildings by providing much needed amenities such as private outdoor patios and trellised overhangs for shade. The residents were involved in the rehabilitation process and the neighborhood witnessed the conversion of an eyesore into a gift to their street.